HAL Systems solutions are configurable from core elements that work together like a set of gears. 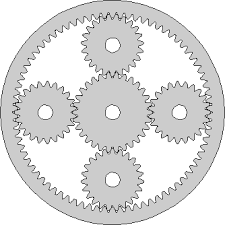 Different gears can be added, removed, or rearranged to provide specific solutions for unusual and unique applications. Solutions can be simple or complex and can be done quickly and cost efficiently without the need to write custom software code. Challenge us today with the solution you are looking for – we’d be happy to configure it for you!